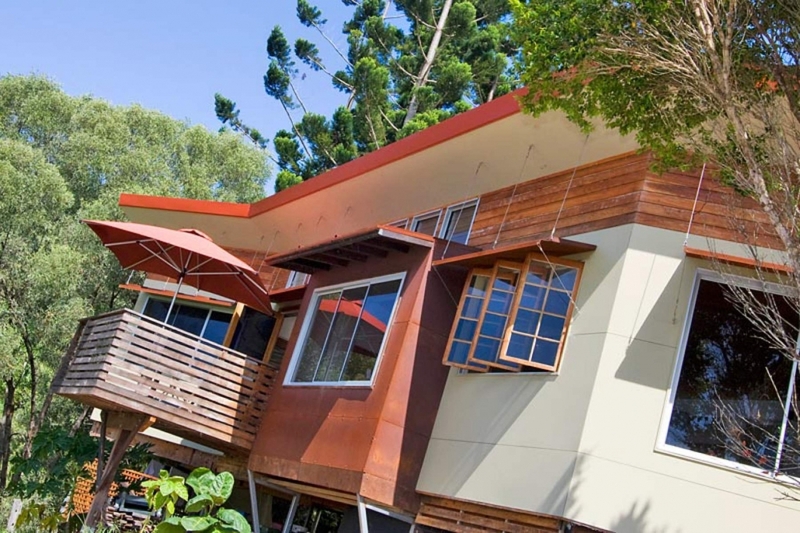 Featured in Gold Coast Panache Magazine, Best Abodes Book No.4, Gold Coast Bulletin Lift Out Best 50 Homes. 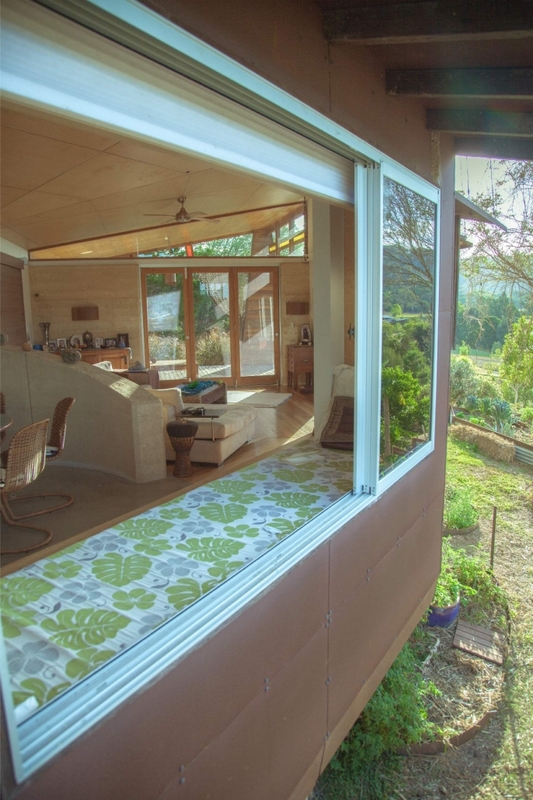 TV – Seen on Totally Wild, 7.30 Report, Green Homes and Bacon, and a German documentary on Sustainability in Australia. 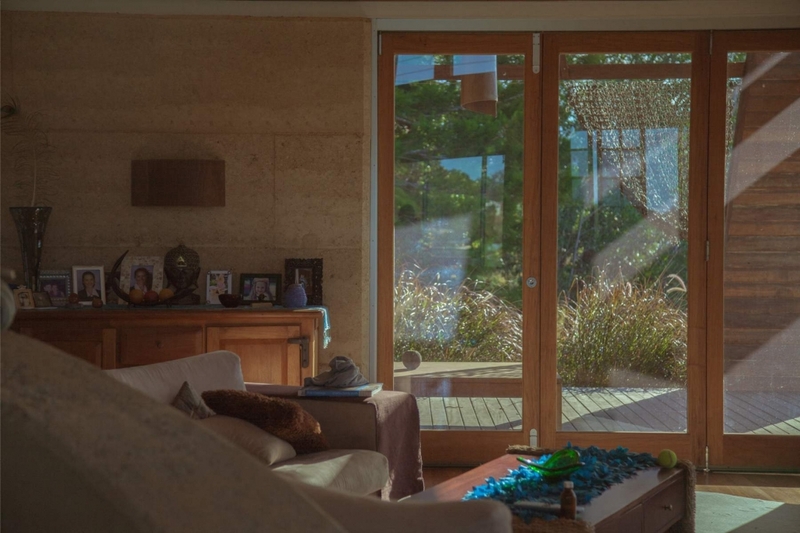 To design and build a home that showcases my unique sustainable design style and reflects what I’m capable of to future clients. 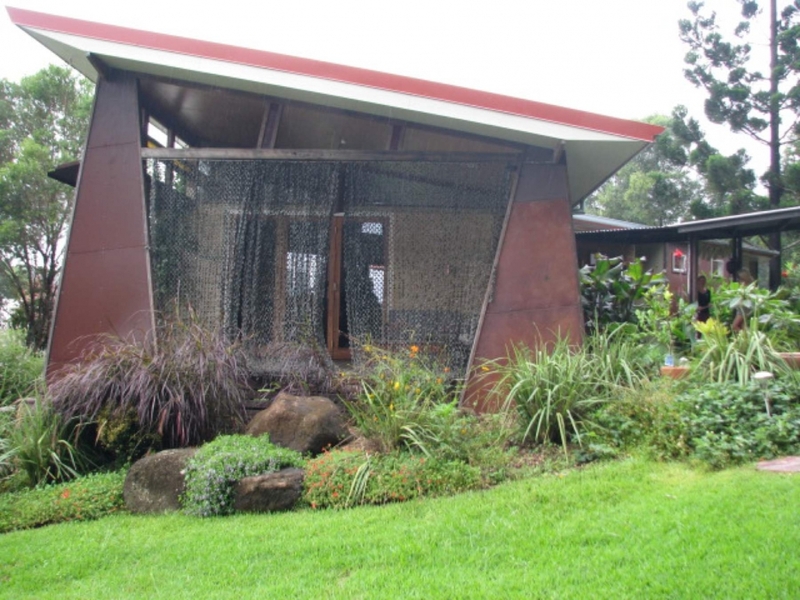 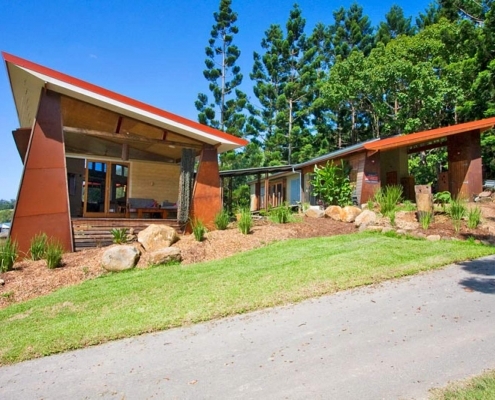 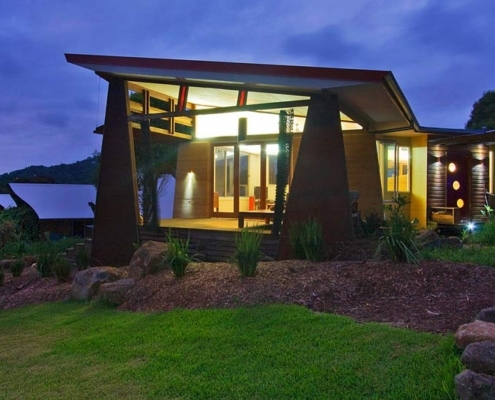 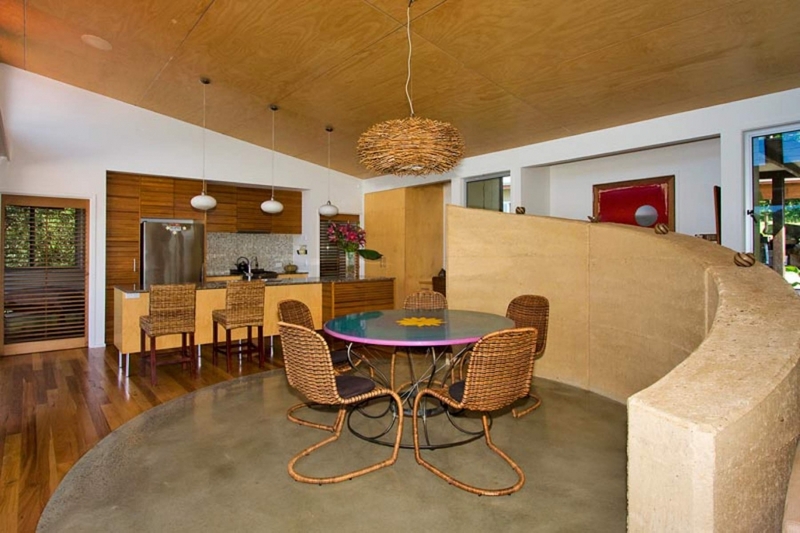 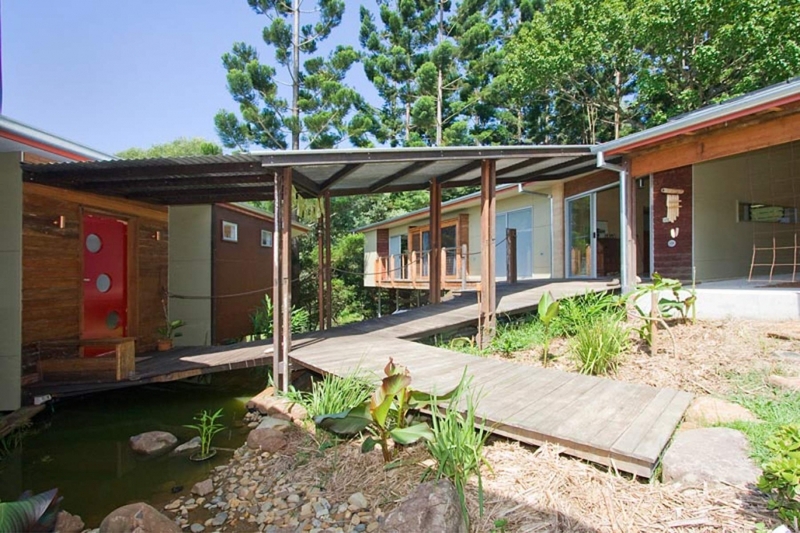 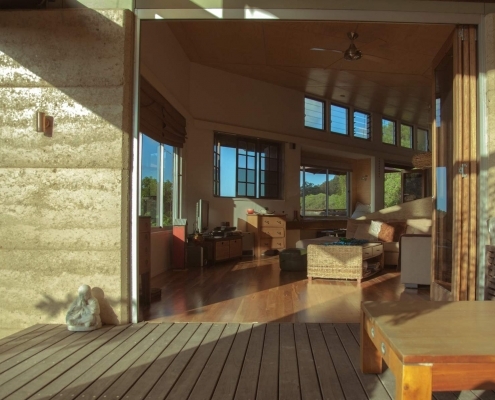 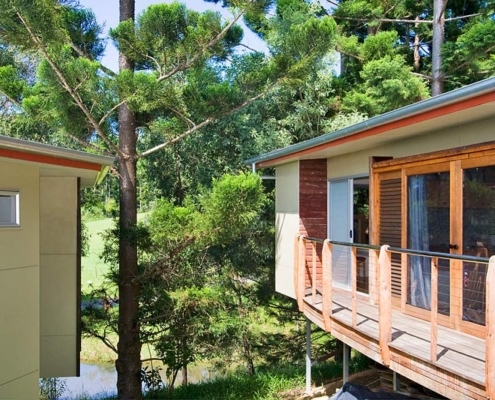 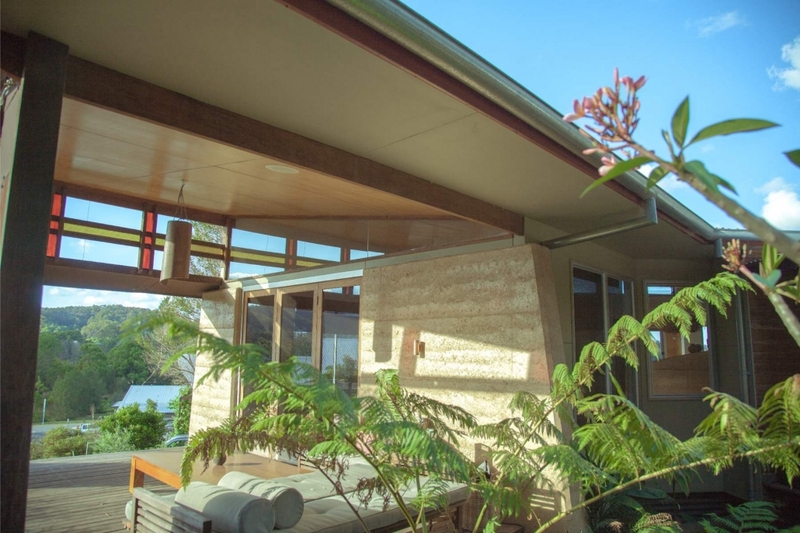 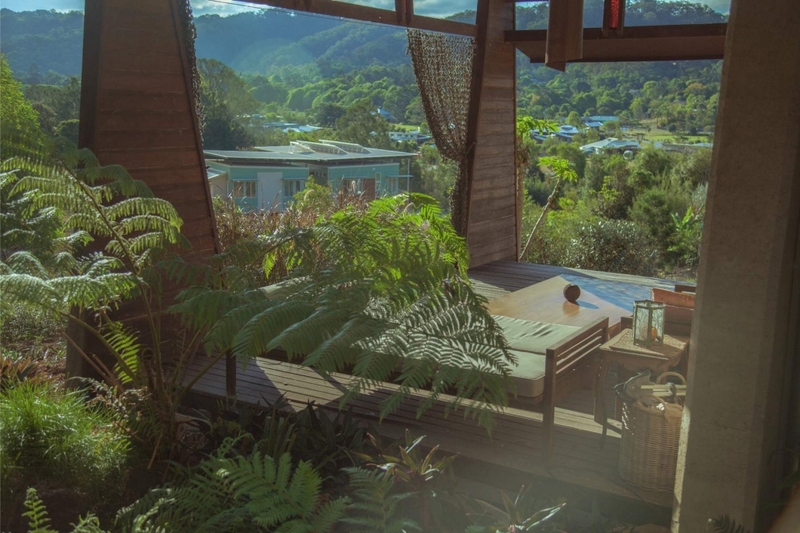 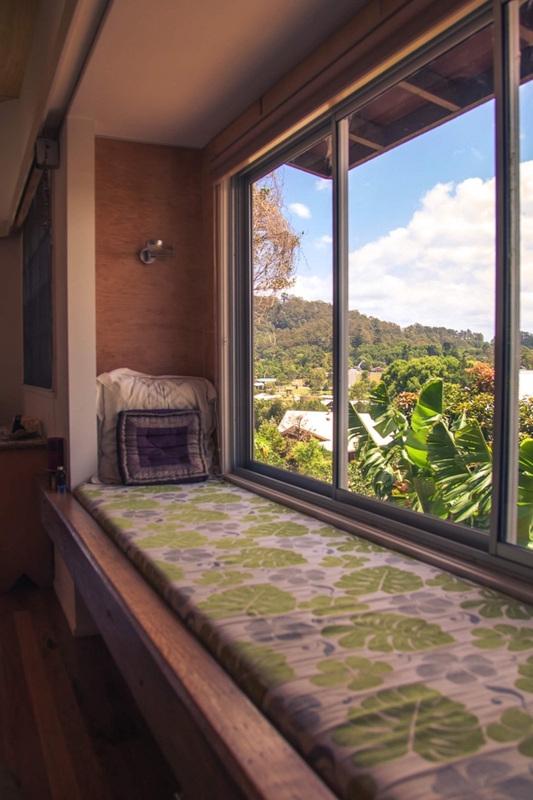 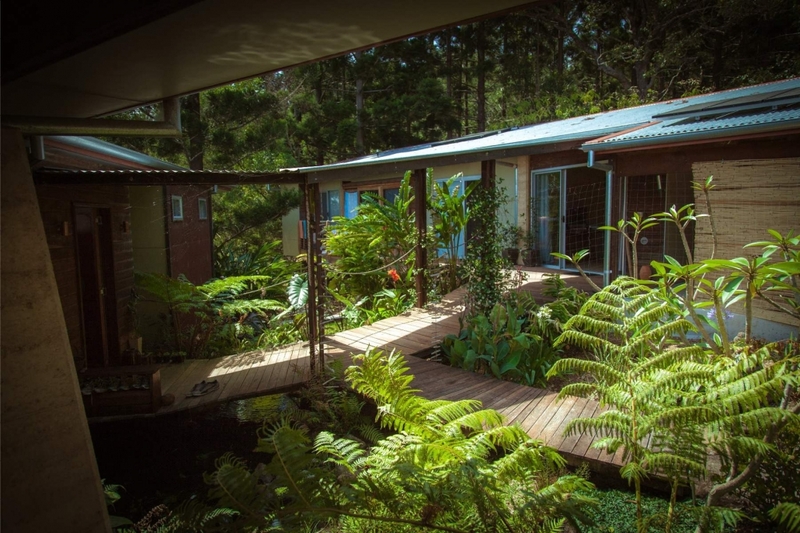 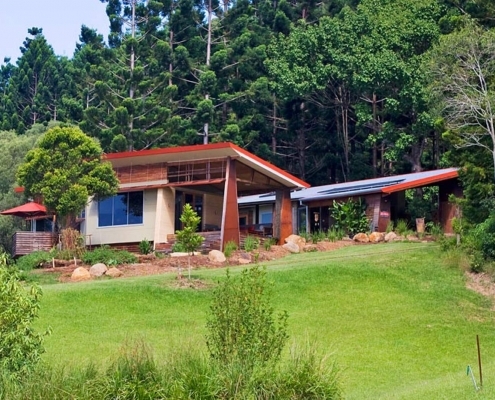 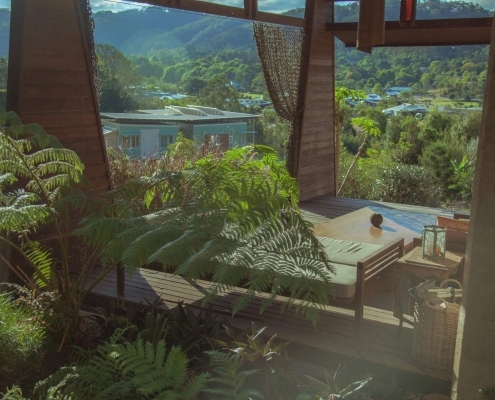 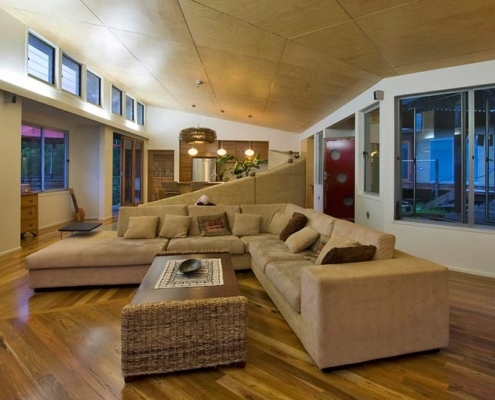 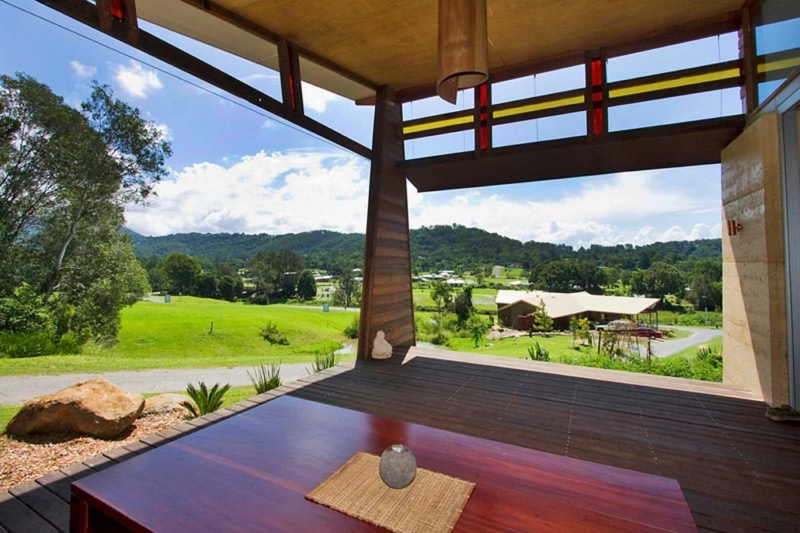 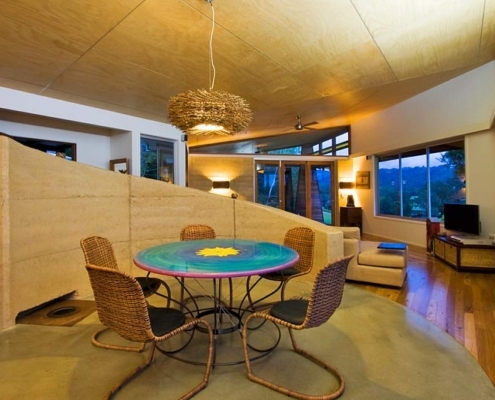 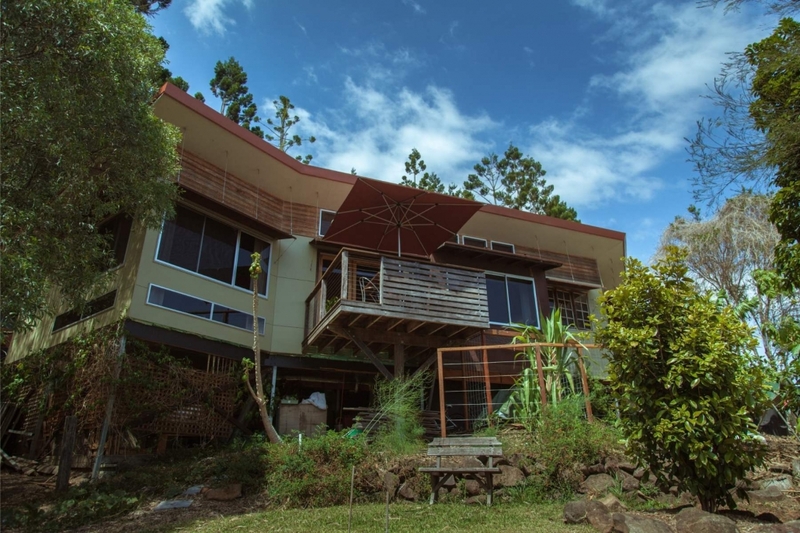 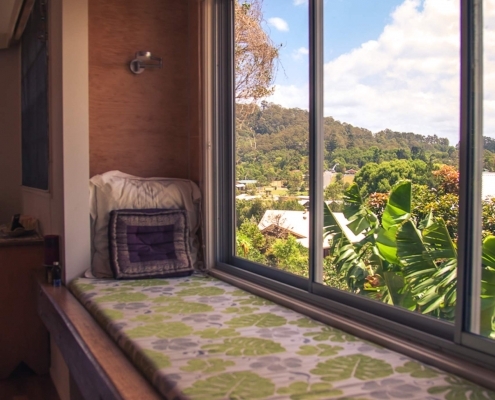 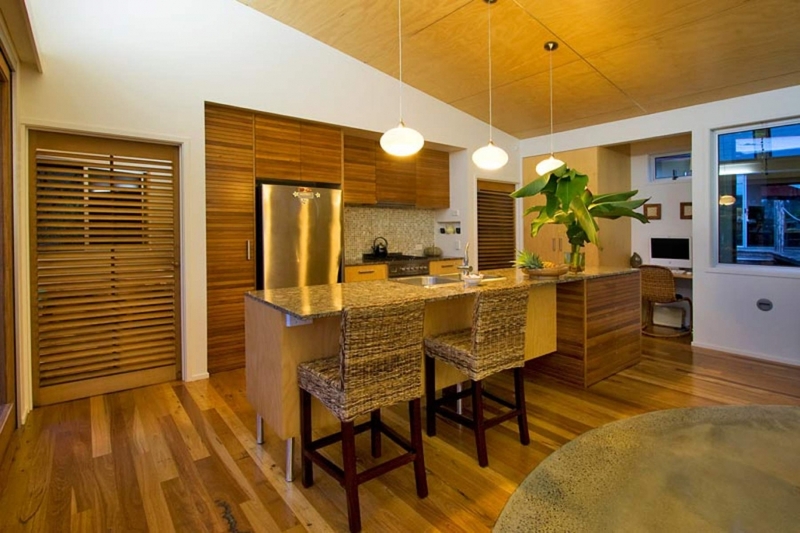 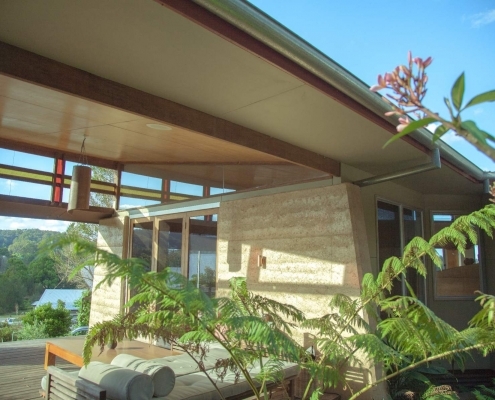 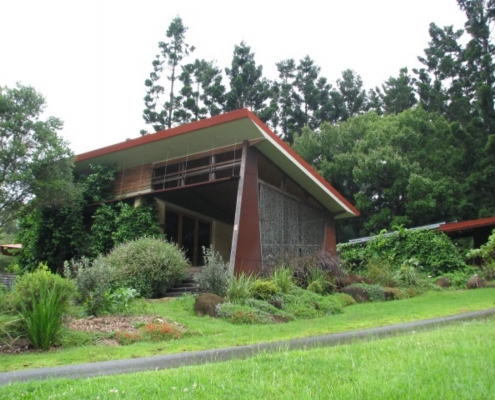 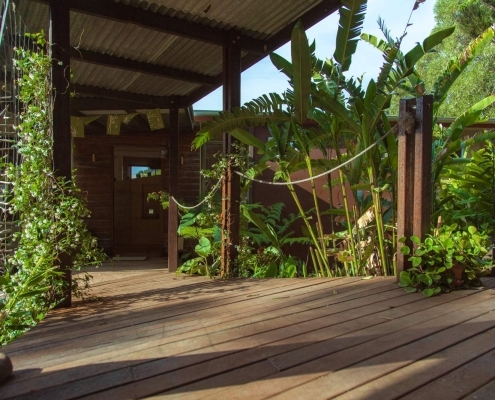 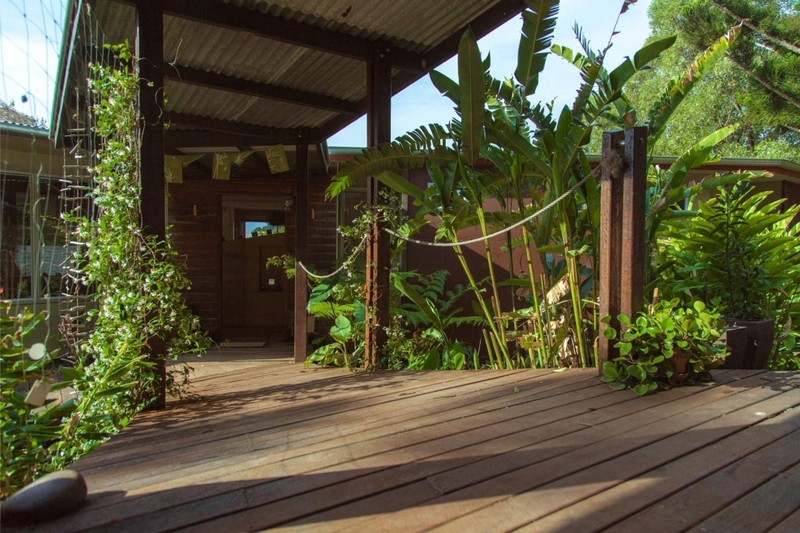 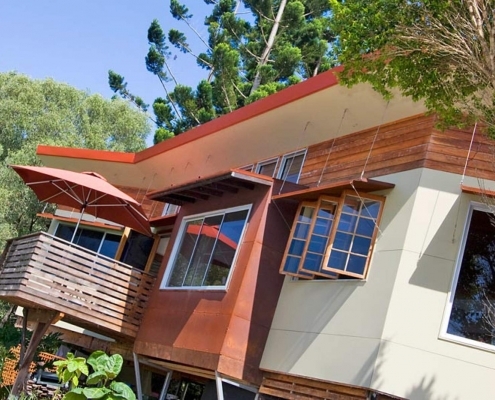 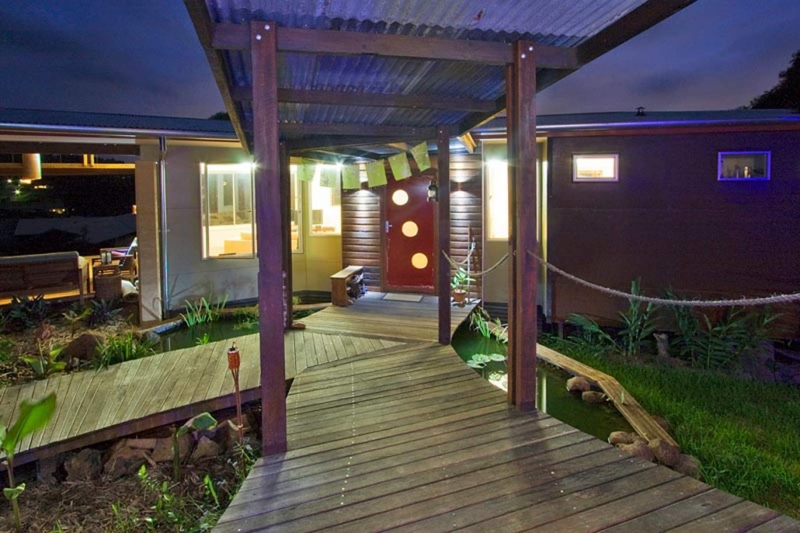 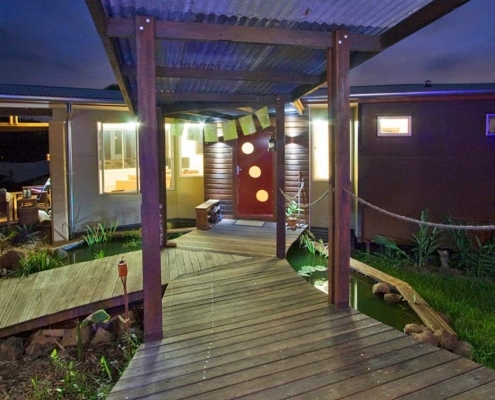 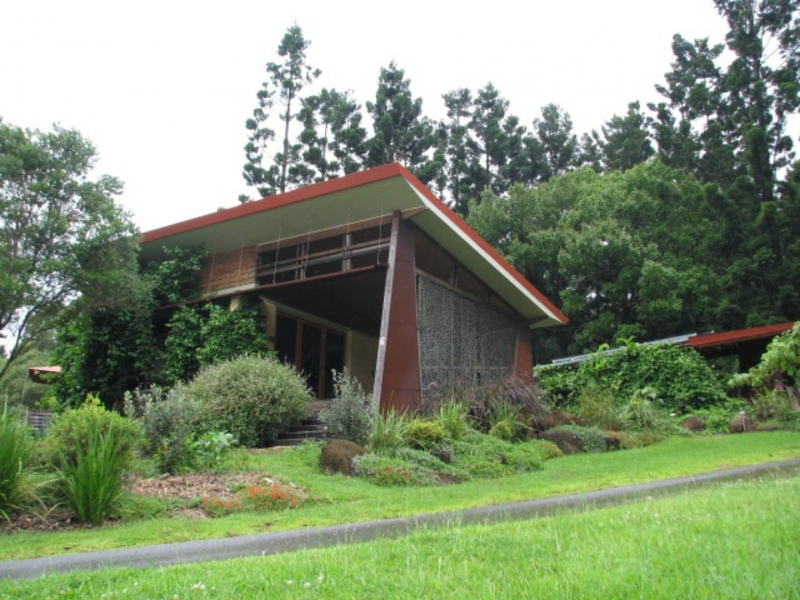 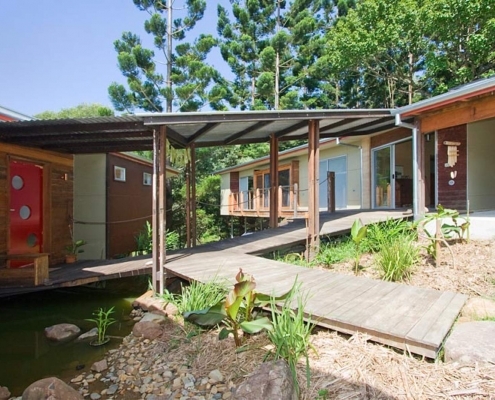 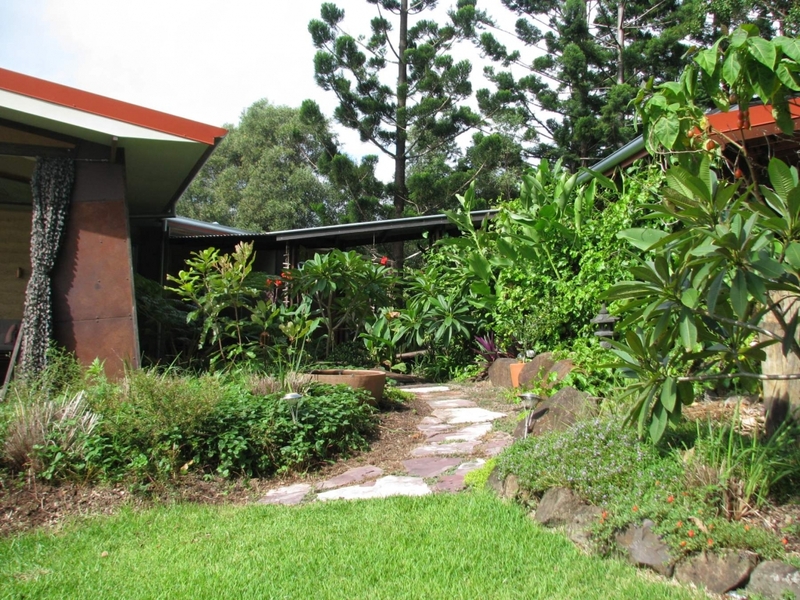 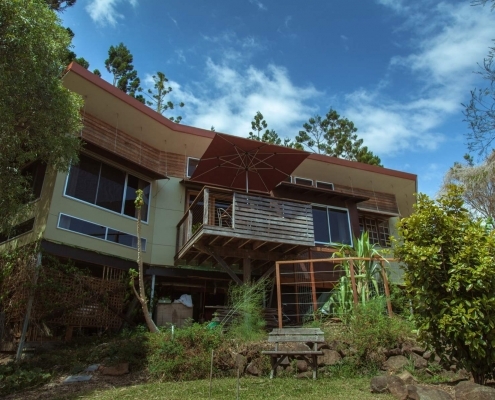 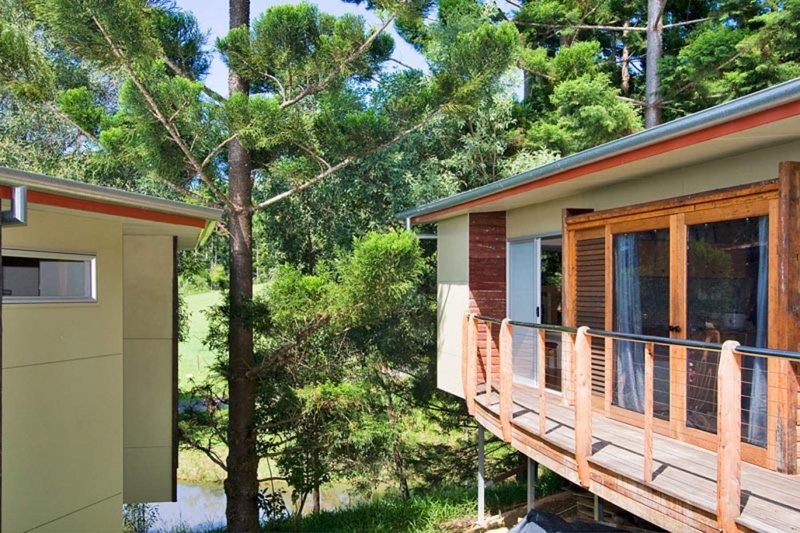 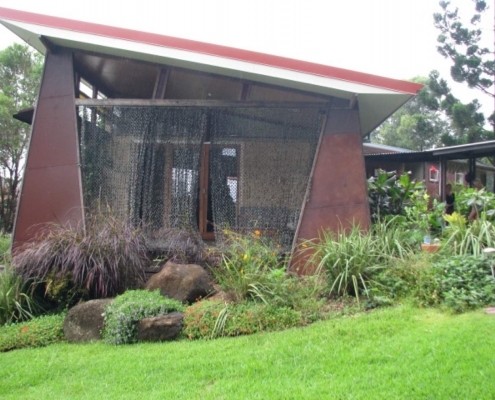 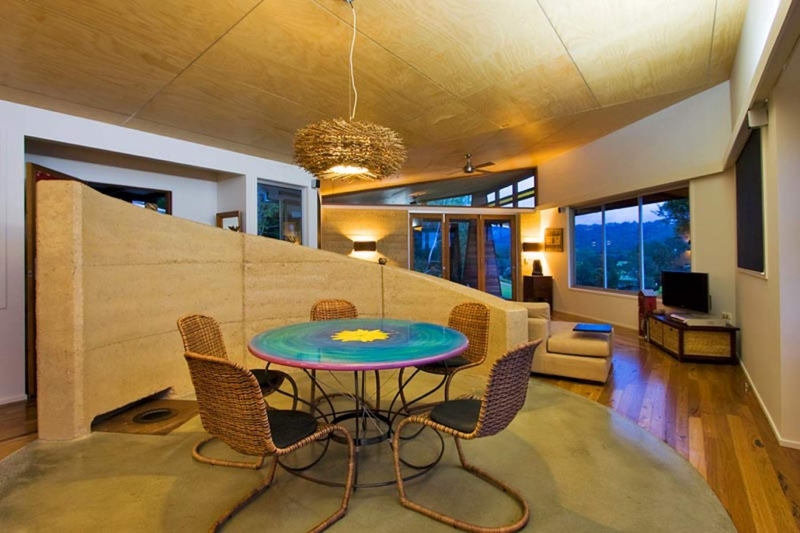 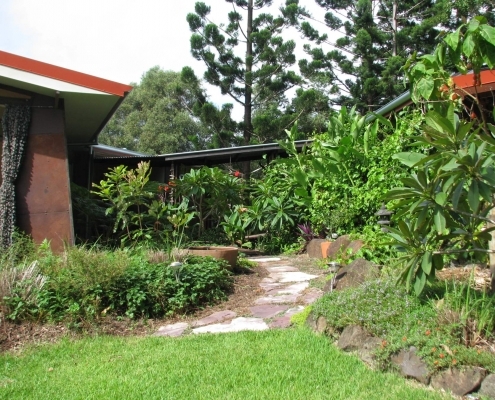 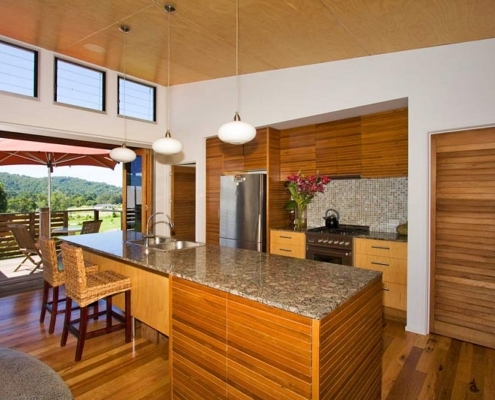 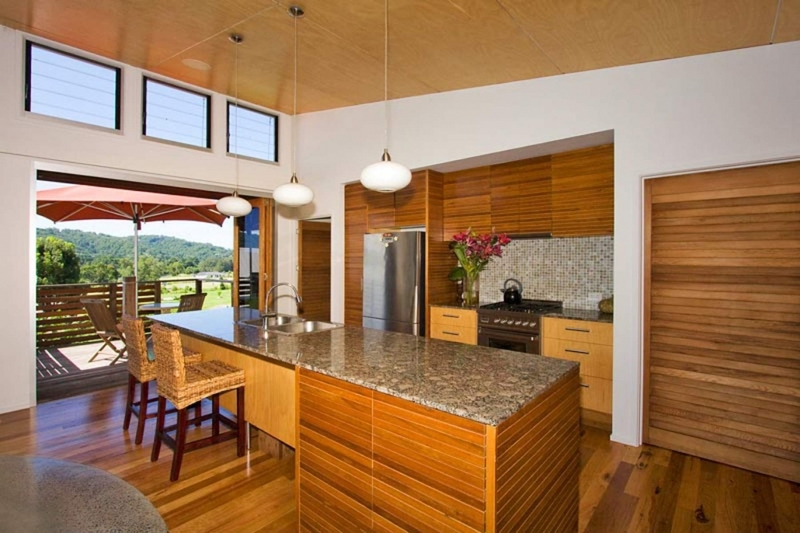 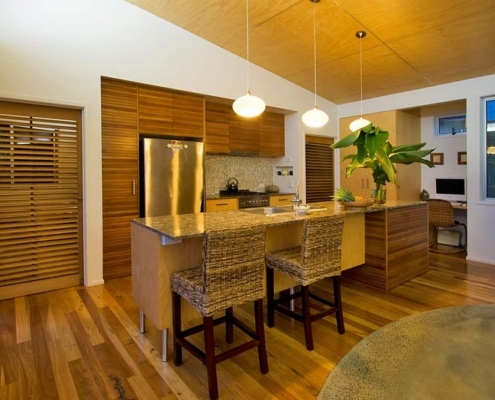 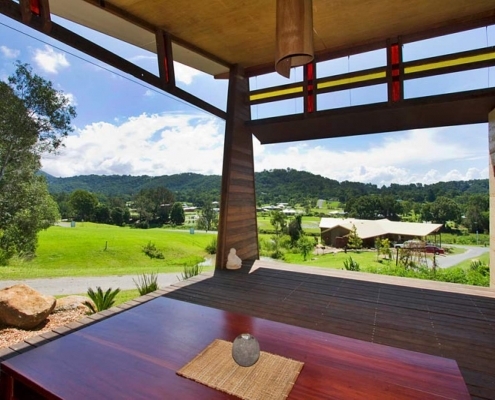 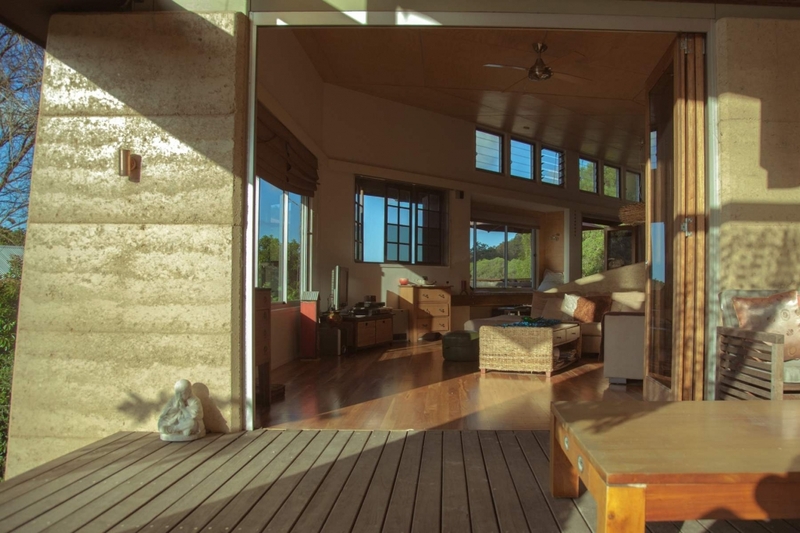 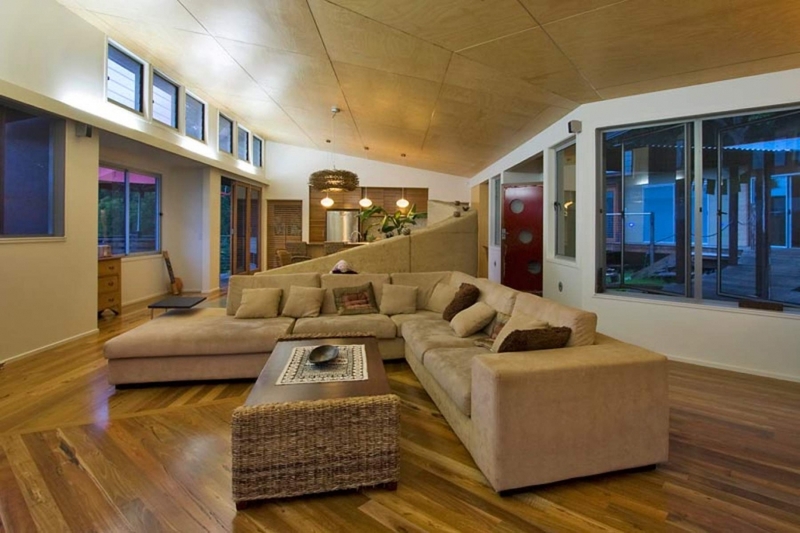 Our home is located in multi award winning “The Ecovillage” in Currumbin Valley. 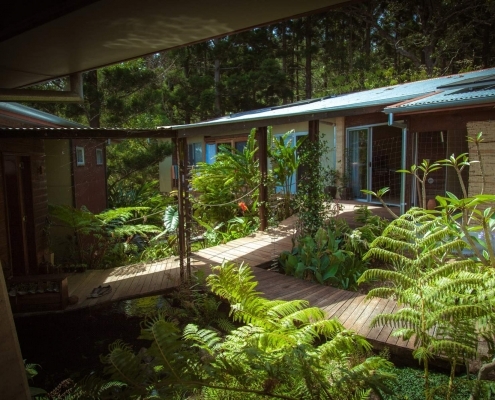 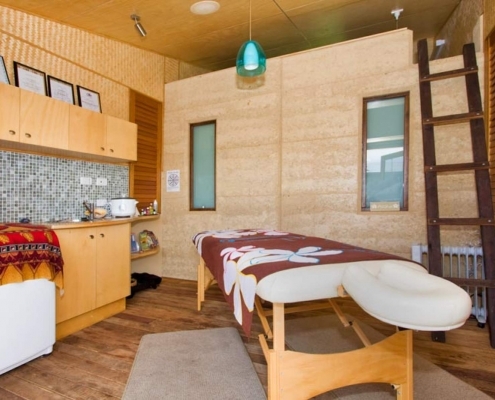 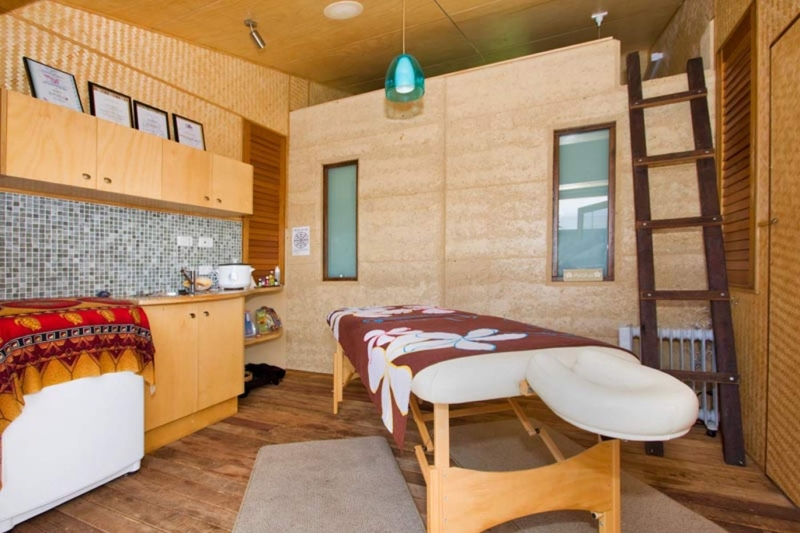 The Ecovillage is Australia’s Best Sustainable Development having won over 32 Industry and Government Awards and recently awarded the International Real Estate Federation’s highest award the Prix d’Excellence. 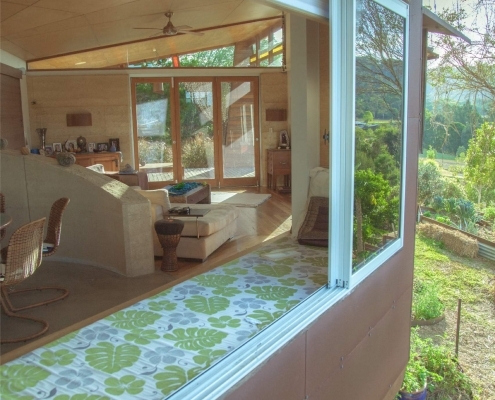 The house design needed to incorporate all our needs into the future to limit the need for costly renovations as it may be our last home. 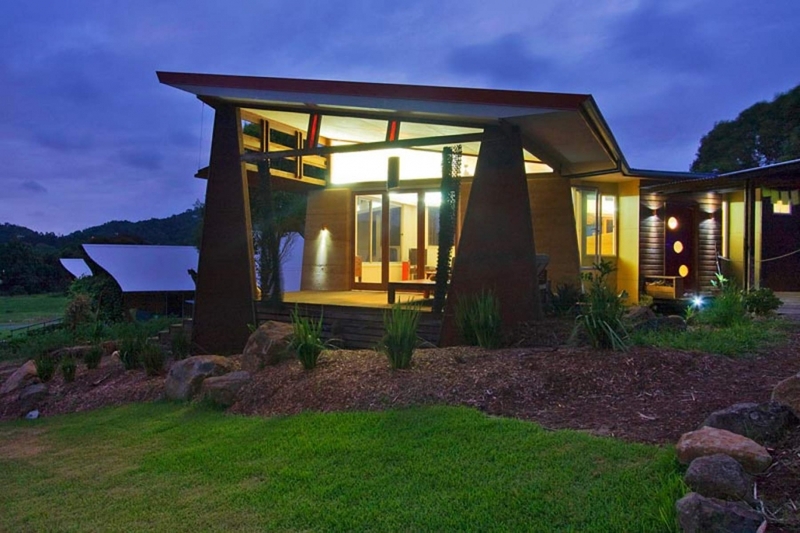 It needed to showcase what I’m capable of not only in sustainable design but also contemporary design. 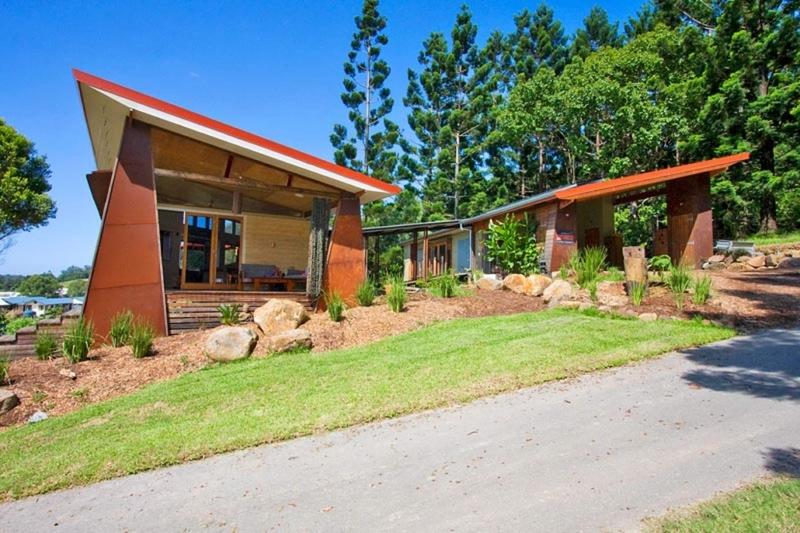 This house has recently been featured in the book “Best Abodes” along with another 2 of my designs and has won an Award with the BDAQ. 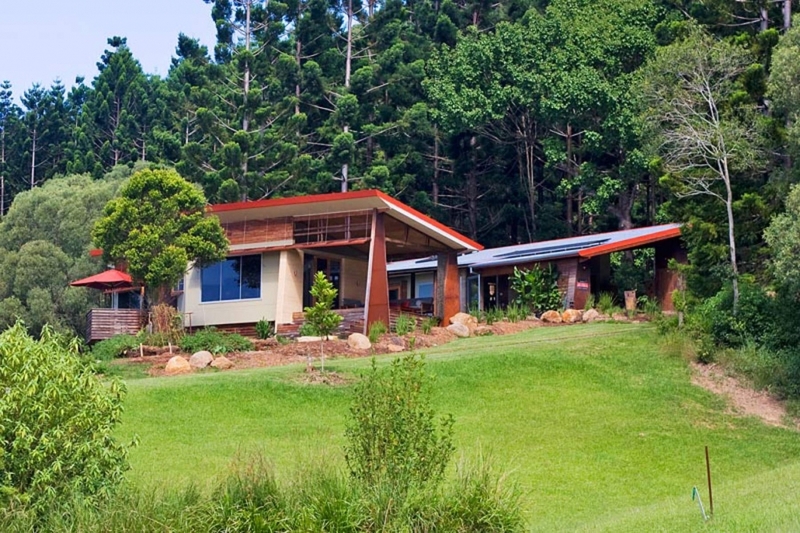 Future proofing – with 2 teenagers we had to allow for their future growth and independence and eventually, departure. 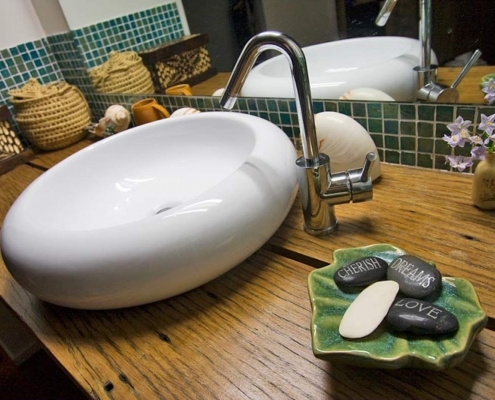 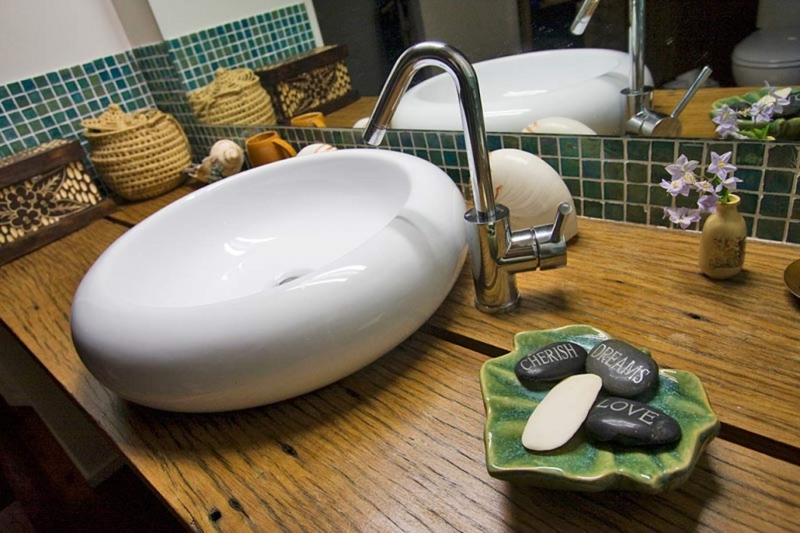 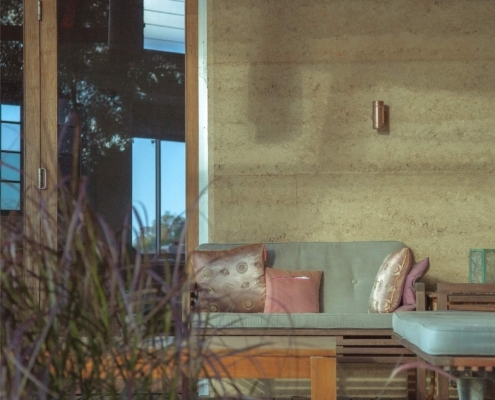 I wanted to use a mixture of sustainable materials to illustrate to clients the possibilities available to them and also show that just because a house is sustainable it doesn’t have to look ugly – quite the opposite. 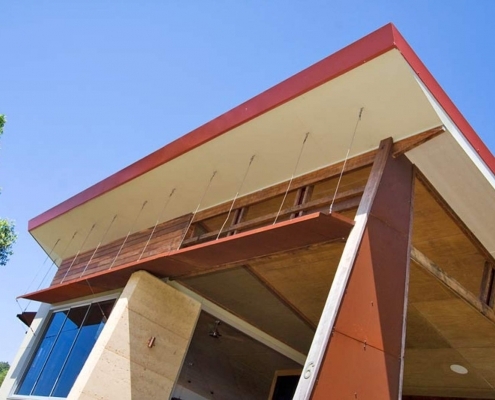 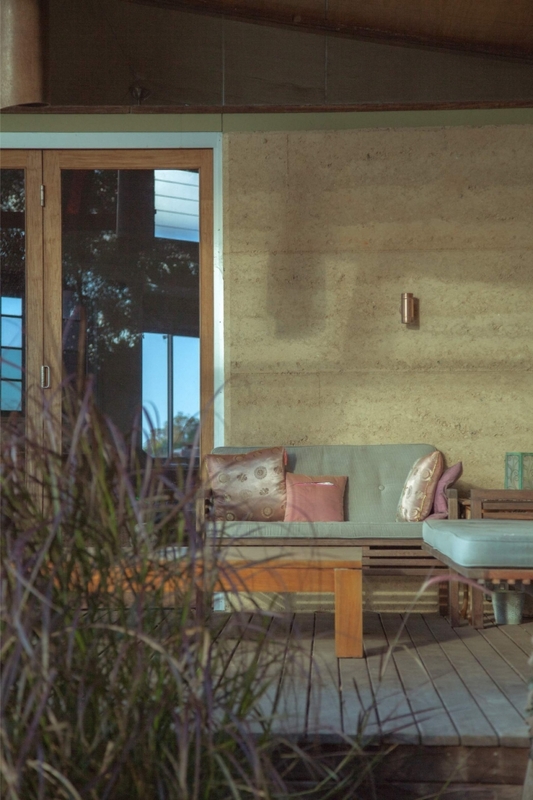 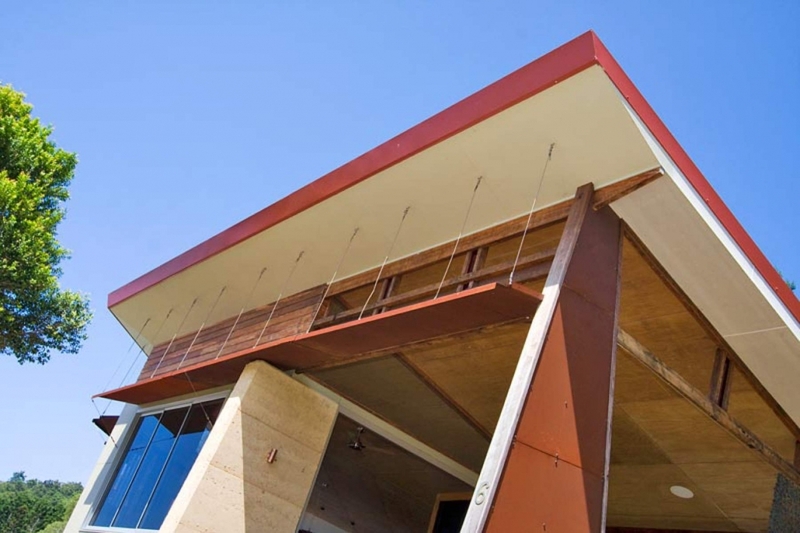 We combined a high percentage of recycled timber with rammed earth, WeathertexExteriorboard, Corten steel, and glass to create a sophisticated architecture that follows the contours and blends into the surrounding hillside. 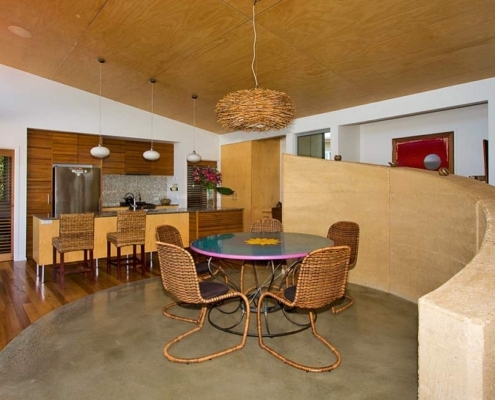 The “engine room” of the house is a 22,500 Lt. polished concrete water tank which is the floor of our dining room. 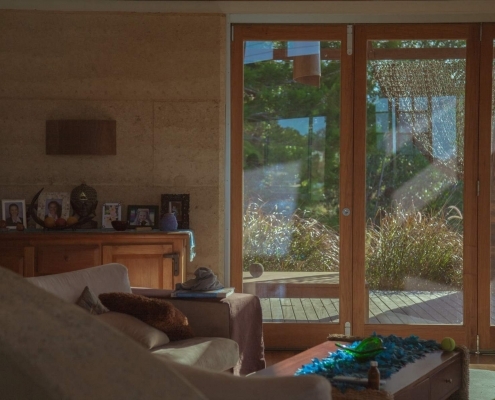 A curved rammed earth angled wall follows half the rim and is warmed by the winter sun during the day and then releases that heat at night keeping us warm thru the coldest of nights.